Organics and Healthy Food: Who’s In? Organic foods have been increasing in popularity over the past few decades (Hughner et al. 2). Curl et al. (2013) found that the consumption of organic foods at least on occasion has increased to include forty to fifty percent of households in the United States. As new scientific information about food health and safety becomes debated, more and more people are turning to organic and other healthy food options. People who buy organic products often do so for a variety of reasons, including concerns for their personal health, their family’s health, or to promote the ethical treatment of animals. The problem with the rise in organic product consumption is that it has not been evenly experienced by people of all backgrounds. A number of studies have shown that people who are most likely to buy organic foods have relatively high education, are at least middle aged, have relatively high incomes, are female, and have children, as detailed in the following sections. People from lower class communities are less able to purchase organic foods because it may not be offered in stores around their area and non-organic food options are often more convenient (Nutrition Digest). The USDA determines what foods are considered “organic” and which foods are not. However, according to an interview with Michael Klacking, the student production manager at the Bailey GREENhouse on MSU’s campus, it is not difficult to become USDA certified organic, and cutting corners may be more common in this certification process than people think. 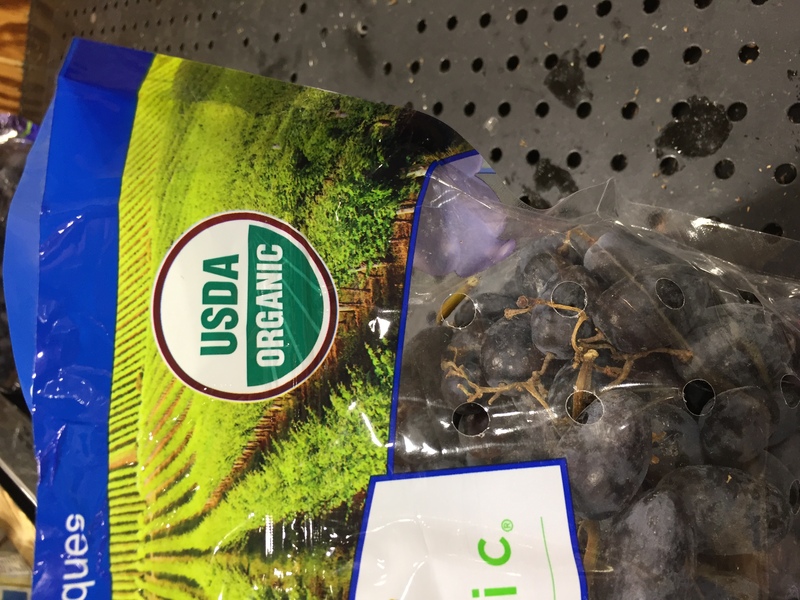 According to the USDA’s website, produce can be labeled as organic if the soil it was grown in hasn’t had any kind of prohibited substance on it for three years before it was harvested on (McEvoy). The requirements for meat products are different; the animals used for organic meat products must live in conditions similar to how they would live if they were free and must not be given antibiotics (McEvoy). In contrast to the USDA’s standards, the Michigan State University student organic farm and its workers seem to have a different idea of what “organic” means. In an interview with some members of the farm, it was noted that to them, organic means “taking care of the soil first,” said Michael Klacking. They take care of the soil by adding organic matter to it– like compost and fish emulsion, which acts as a natural fertilizer (Klacking). Organic products tend to be more expensive than non-organic products. In fact, these products can be 20 percent to 100 percent more expensive than their non-organic versions. There are many reasons for this increase in price; a few of them being more labor involved, the cost of having an organic certification, and that organic food grows more slowly than regular crops (10 Reasons). The price of standard coffee by the pound compared to organic coffee; it is one dollar less than its organic counterpart. 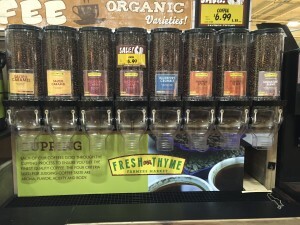 The price of organic coffee by the pound compared to regular coffee; it is one dollar more than its original counterpart. Curl et al. (2013) found that women were 21% more likely to consume organic products, and people with bachelor’s and graduate degrees and the highest incomes were more likely to consume organic as well. Hugher et al. (2007) found that women, households that have children, and older people are more likely to consume organic products. Additionally, Smith, Huang, and Lin (2009) found that the average profile of an organic produce consumer was a household with children under six years old and a household head older than 54 years old with at least a college degree. Women may be more interested in healthy foods for a variety of reasons, including concerns about body image and interest and involvement in becoming pregnant and providing the best food possible for their children. It makes evolutionary sense that households with children would be more likely to eat organic because parents want the best for their kids in all areas of their lives and a healthy diet fosters intelligence and healthy eating habits into adult life. People who are older and college educated may be more likely to eat organic because they are more educated on the benefits of doing so and are able to afford more expensive organic options. Hughner et al. (2007) found that younger generations are increasingly positive toward organic products but older people are more likely to purchase them; this may be explained by price differences than make organic products not affordable to younger people. It was noted by Zepeda and Nie (2012) that the rational consumers of healthier foods tend to be middle aged people, which also increases the likelihood of having children in the home. Since younger people are more likely to be in college or working at lower-end jobs, they may not be able to prioritize organic products in their budget despite growing interest in health and food consciousness. College students are often involved in their school’s meal plans and may not be grocery shopping very often, if ever. They also regularly do not have easy transportation to organic farms or supermarkets that sell organic products and are attracted to the convenience of fast food options provided near campuses. The conflict college students between the interest in being healthier and the inability to bring that interest to fruition often ends with them not making organic food shopping a high priority. It is also interesting to note that neighborhood location and proximity to healthy food options like organic produce has an impact on the consumption of these products (Curl et al.). The United States Department of Agriculture (USDA) defines food deserts as impoverished communities that lack access to fresh foods and are heavy on local quickie marts that provide processed, sugar- and fat-laden foods. Food options that are available in food deserts highly contribute to the nation’s obesity epidemic, and people living in such areas cannot easily gain access to healthy organic foods that would combat this problem (Nutrition Digest). People living in food deserts areas are attracted to the convenience of unhealthy foods over high quality organic produce because they are surrounded by it daily and may not have the motivation or ability to travel to healthier food options. Additionally, processed food and fast food is typically cheaper than organic foods and people living in food deserts may not be able to afford anything else even if it were made available to them by local organic farms. This is an example of what organic products look like at a specialty grocery store. The products are laid out in a very aesthetically pleasing way that could possibly push people towards buying them. One alternative to buying organic foods in supermarkets is to shop at local organic farms. These farms are often tailored to lower income people because they don’t have as many costs as major organic brands that sell in supermarkets. Shopping locally can be more affordable to the consumer while supporting local business and the local economy. In this study we spoke with representatives of Michigan State University’s 10-acre student organic farm to examine their interpretation of organic farming and how it impacts the community. Michael Klacking, an employee of the student organic farm, said that organic products are more than just taking care of soil and producing a great crop when produced on a small scale. There is a lot of manual labor and care for the crops that goes on in small-scale organic farming that may take place in a more industrialized way in non-organic farming and even large-scale organic farming. A “typical day” at the farm can range from harvesting, animal chores, and the watering of crops (Klacking). In inner-city Lansing where there is a large population of low-income residents, strides have been made to close the class gap in access to healthy and organic food. The Ingham County Land Bank Garden Program program takes plots of land from tax-foreclosed homes and resells that land to individuals in the community for gardening use for only $25 with startup seeds and materials available at no cost. Nicolas Houle, an Americorps worker for the Land Bank program, describes the Land Bank’s community gardeners as extremely diverse, including large refugee and low-income populations. For Houle, giving lower-income people the chance to grow their own food is so effective for his organization because many of those people have family histories of gardening they have been unable to take part of due to the lack of space in urban areas. While most of the gardening that takes place at the Land Bank is not USDA Organic certified due to the high base cost of certification, Houle insists that most gardeners use exclusively organic gardening practices. Once these community farms have been started they are able to produce enough a large quantity of healthy, organic food that – given the free or subsidized materials provided by the Lank Bank – is essentially free for the gardeners. This program works especially well for those who have little to no access to grocery stores and thus little access to non-processed foods (Houle). Despite the successes of the program, community organic gardening are in no way a total solution to the class gap in organic food. For older people with health problems or for low-income individuals who work multiple jobs with little free time, doing their own gardening is often not a feasible option. Houle also expressed some concern with higher-income individuals who take part in the program – often gardening for profit rather than subsistence – threaten gentrification. He also expressed some concerns about individuals who are turned off from the idea under the assumption that those in charge, like Houle himself, are higher-class and thus intervening in the community in a paternalistic manner. “Yes, there’s a gap, and sometimes it’s from a perceived notion of rich people just trying to be cool with organic food, but it is cool to eat healthy food and it shouldn’t be about class when we can do something to make it more accessible” (Houle). Houle’s statement on the class gap acknowledges an important aspect of the attempt to break down the class barrier in organic food in that, as an educator involved in outreach, he feels a responsibility to educate people on their options and make organic food accessible while simultaneously working to avoid the gentrification of these communities and the subsequent alienation of lower-income individuals. The Allen Street Farmers Market is located in a central Lansing location in a low-income neighborhood, an aspect of the market that makes it ideal in breaching the class-gap of organic food purchase. The market, which opens once a week year round, provides both certified and non-certified organic produce as well as artisan goods, bakery items, coffee, and more. Allison (last name not given), an employee for the CFI Giving Farm and a vendor at the market, attributed the market’s location as well as its cost-reducing incentives as being essential to bringing in a more diverse, lower-income crowd. According to Allison there’s no major grocery store near the market and many of their patrons bike, implying that transportation may also be scarce. This in addition to the market’s acceptance of WIC Project Fresh, Senior Market Fresh, and SNAP Double Up Food Bucks – all programs aimed at providing low-income people with access to inexpensive, fresh, local food – is a key reason as to why the market has a more diverse group of buyers than, as Allison says, a market in a wealthier area such as the Meridian Farmers Market (Allison). 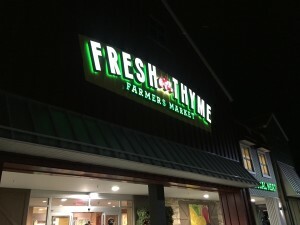 While the prime location and incentives for low-income shoppers are certainly a good way to avoid the upper-middle class dominance of the organic food market, it in some ways hides some deeper problems of organic food access. Though the lack of grocery stories in the area helps Allen Farmer’s Market’s business, it also raises a question of whether or not these low-income buyers have much choice in their consumption. 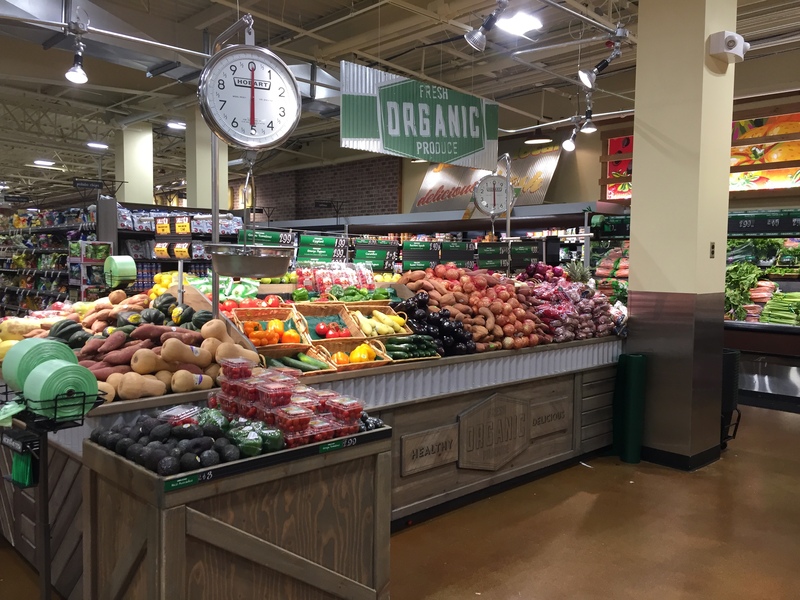 If they have no ability to get to a grocery store at which they might have other buying options, is the organic food movement really attempting to bring low-income groups into the fold and increase interest or is it simply taking advantage of a captive audience? While availability and access are certainly important, low0income peoples should certainly have the same choices as their high-income counterparts. In her interview Allison notes that her farm’s prices, even with their organic certification, are no different than their non-certified competitors. When looking around this can be seen to be true, but only for produce which is generally fairly low cost to begin with. This viewpoint fails to acknowledge that more “artisan” products such as organic, locally roasted coffee and organic meat and animal bi-products have much larger cost gaps, and in those areas buying organic can be very inaccessible. 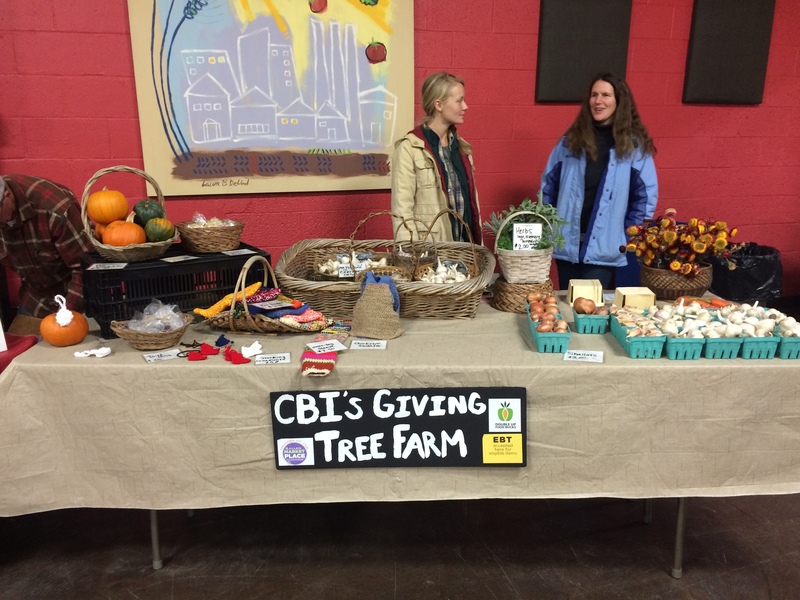 Allison (left) and a coworker sell produce and handmade goods at the CBI Giving Farm stand at the Allen Farmers Market. 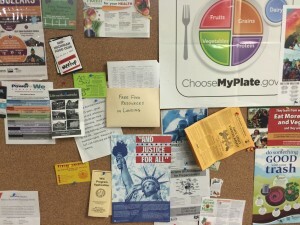 A billboard at Allen Farmers Market advertises food programs for low-income residents. Etmanski (2012) describes the alternative food movement as a predominantly white movement that promotes ecologically friendly and ethical food while, ironically, largely ignoring racial injustices associated with industrial farming practices. Many people who engage in organic farming or purchase locally grown products live in a world of privilege that mentally and physically separates them from the political and social problems surrounding the practice of farming around the world. While local farming may be intended to empower and enrich local communities of varied backgrounds, the people attracted to the movement reap the benefits of healthier, potentially cheaper food while ignoring the racial and class injustices that are being perpetuated by industrial farms. Etmanski goes on to say that people who identify as educators need to raise awareness and create an infrastructure of support for the deepening analysis of race and class issues in the organic farm movement. Empowering disadvantaged peoples in terms of the food they consume would guide further equality movements and encourage other cultural practices that may be at risk of deteriorating from white dominance. The Food and Agricultural Organization of the United Nations details some similar problems with organic farming, including high prices and limited markets, as well as some methods of correcting these issues. First, lowering prices would expand interest and capability of purchasing local organic foods without harming the producer as long as their production needs were met and wages continued to be sufficient. 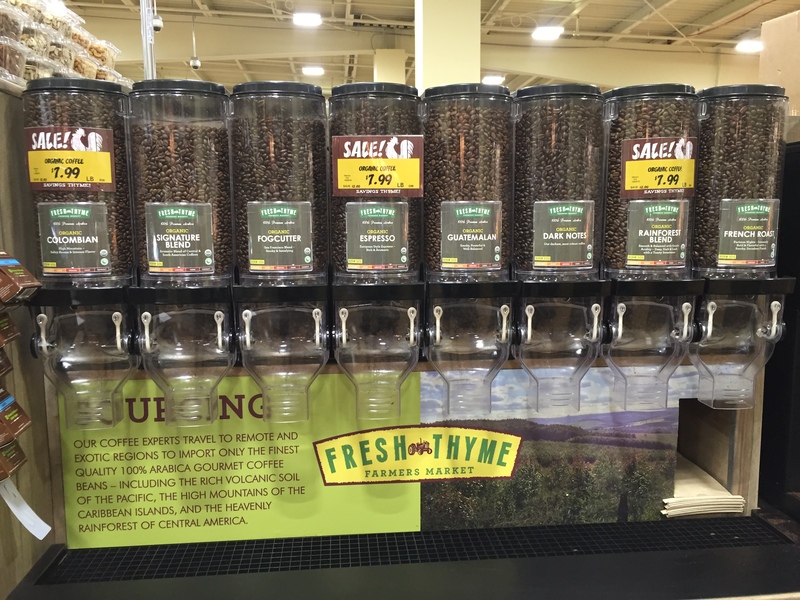 Revised marketing strategies would allow prices to be lowered while maintaining profitability. Additionally, redirecting public expenditures toward organic production would benefit the field by increasing yields and lowering labor needs. Last, the development of institutions that can assist farmers in the producing and marketing of organic food would encourage a flourishing market for local products, especially in disadvantaged countries, and the current lack of these services contributes to the general opinion that organic farming is a throwback to a less efficient time. Organic farming provides unexpected benefits to communities as well, including the distribution of labor demand throughout the year that promotes stable employment, reduces turnover, and alleviates problems related to migrant labor. Allison. 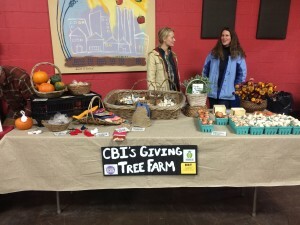 “CBI Giving Farm at Allen Farmers Market.” Personal interview. 2 Dec 2015. Correspondent, Sarah. “Students Take Advantage of Farmers Market Boom.” USA Today. Gannett, 20 June 2013. Etmanski, Catherine. “A critical race and class analysis of learning in the organic farm movement.” Australian Journal of Adult Learning 52.3 (2012): 484-506. “Environment and Natural Resouces Series No. 4, Chapter 1.” Food and Agricultural Organization of the United Nations. N.p., n.d.
Houle, Nicholas. “Interview with a Lansing Land Bank Worker.” Personal interview. 14 Nov. 2015. Hughner, Renée Shaw, Pierre Mcdonagh, Andrea Prothero, Clifford J. Shultz, and Julie Stanton. “Who Are Organic Food Consumers? A Compilation and Review of Why People Purchase Organic Food.” Journal of Consumer Behaviour 6.2-3 (2007): 94-110. Klacking, Michael, Allison Stawara, and Bethany Kogut. “Interview with Student Organic Farm Members.” Personal interview. 23 Oct. 2015. McEvoy, Miles. 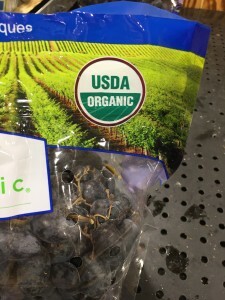 “USDA Blog » Organic 101: What the USDA Organic Label Means.” USDA Blog RSS 2. USDA, 22 Mar. 2012. Smith, Travis A., Chung L. Huang, and Biing-Hwan Lin. 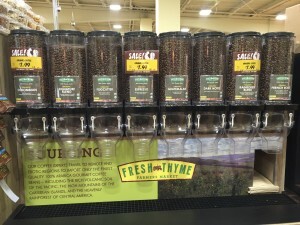 “Does Price Or Income Affect Organic Choice? Analysis of U.S. Fresh Produce Users.” Journal of Agricultural and Applied Economics 41.3 (2009): 731-44. Zepeda, Lydia, and Cong, Nie. “What are the Odds of being an Organic Or Local Food Shopper? Multivariate Analysis of US Food Shopper Lifestyle Segments.” Agriculture and Human Values 29.4 (2012): 467-80. 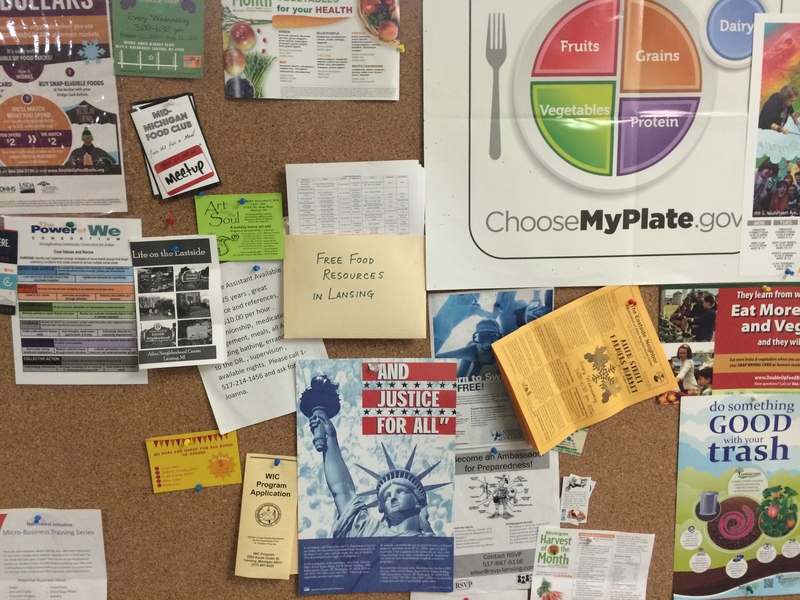 “USDA Defines Food Deserts.” Nutrition Digest Vol. 37, No. 4. American Nutrition Association, n.d.
“10 Reasons Organic Food Is so Expensive.” Fox News. FOX News Network, 11 Mar. 2012.